If you find yourself wishing that you could doodle or write quick notes on your Android smartphone, the Adonit Droid will definitely do the trick! 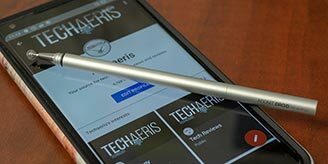 While there are some Android devices that come with an included stylus, they are few and far between. 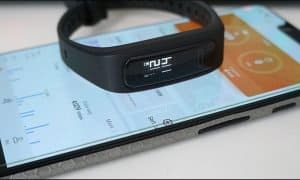 Most of us are accustomed to using our smartphones with our fingertips and while accurate for the most part, sometimes we could all do with a bit more accuracy. 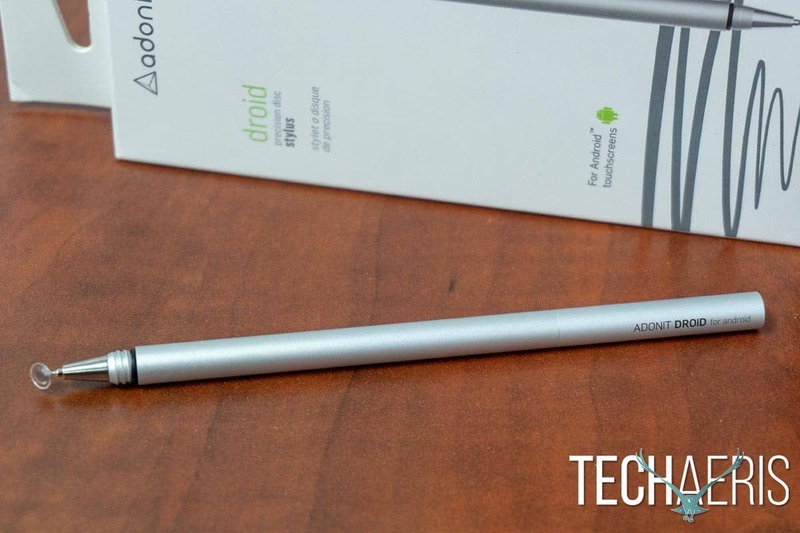 Our Adonit Droid review takes a look at a micro precision stylus designed for Android high-resolution touchscreens which offers more precise touch and control as well as allowing you to write, draw, and create on your device. Natural Writing – The Droid’s dampening tip provides you a more natural writing experience. Focus on capturing your ideas, not how you write. Slim and Portable – Ultra slim and lightweight design. Feel confident taking your Droid anywhere with the carrying clip for easy access. Ready and Reliable – No batteries needed, you can rely on the Droid to get the job done. Simply touch the tip to the screen and start writing, drawing, and creating. The Adonit Droid precision stylus is very simple in design. The main metal casing is only 7mm (0.27″) in diameter and 120mm (4.72″) in length. The body has a smooth brushed appearance and our review sample came in silver. The Adonit Droid for Android is printed in black on one side of the cap while the Adonit logo is printed in black above the clip on the other side of the lid. The Adonit Droid for Android stylus with the lid on. The lid screws off, exposing the micro disc tip and screws on the bottom of the stylus so you don’t lose it while using the stylus. 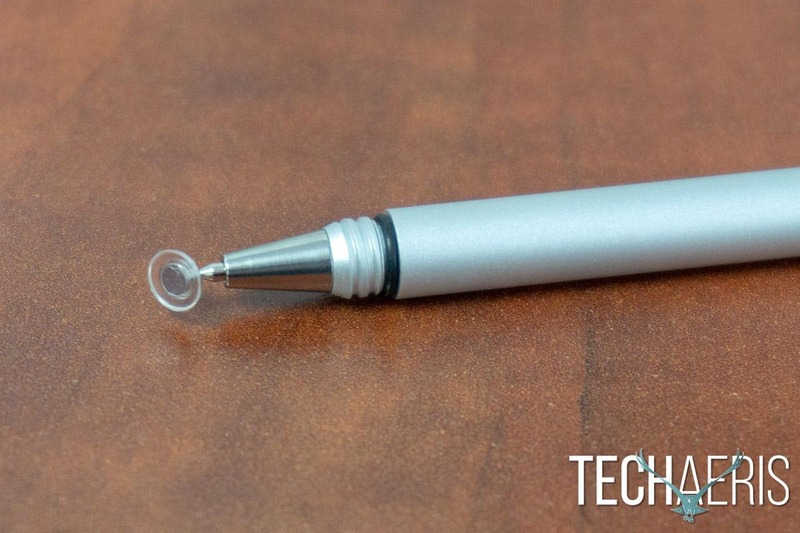 The micro disc tip is attached to the end of a ballpoint pen-like tip with the disc itself attached to a metal ball. The micro disc is clear and when using it, it looks like you’re using a regular pen at a glance. Crafted from PET (polyethylene terephthalate), the disc won’t scratch your smartphone screen during use. The micro precision PET disc won’t scratch your screen during use. Although slim, it is comfortable to hold and use even though it is a bit slimmer than your standard pen. As mentioned, our review sample came in silver but you can also get it in black or midnight blue. Primarily tested on the Google Pixel 2 XL, the Adonit Droid stylus worked great for day to day use. I’m not normally one to take notes or draw using my smartphone — the obvious reason being it’s tough to draw or write with fat fingers. Using the Adonit Droid, it was easy to jot notes and test doodles turn out just as I expected them to. There were a couple times when the stylus didn’t respond and I’m not sure why but 99% of the time, the Pixel 2 XL responded to it with no issues. I also had no issues using it on a Moto Z2 Play, Nexus 6P, or Nexus 5X. 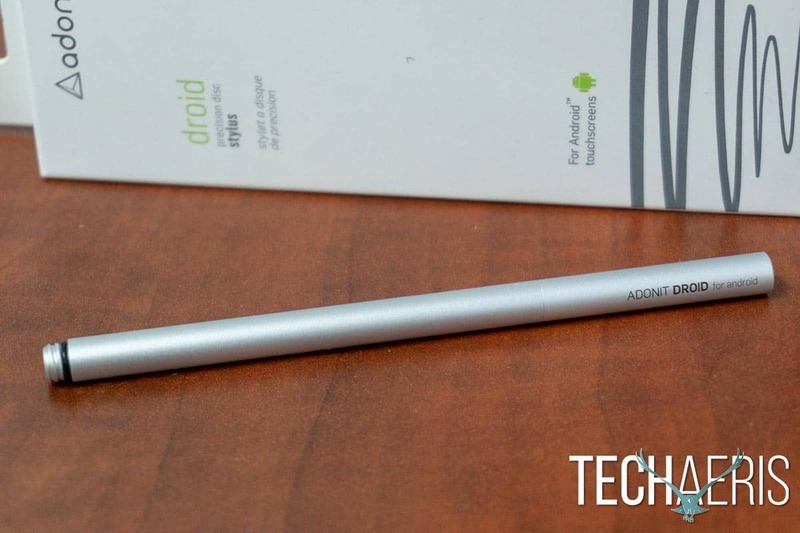 The Adonit Droid stylus lets you write and sketch on your Android smartphone with ease. 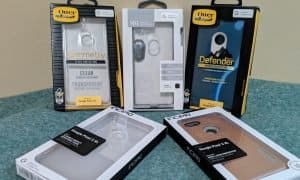 Of course, the “for Android” portion of the name sticks out on the Adonit Droid and I had to test it on a few other devices including an iPhone and touchscreen Chromebook. As the name suggests, the stylus didn’t perform very well on those devices so if you’re looking for an all-in-one stylus for your touch devices you’ll have to look at one of Adonit’s other products. The Adonit Droid for Android will set you back $24.99USD. There are a couple other similar Adonit products, one cheaper and one more expensive, that both have micro disc but vary in size. Both of those are listed as working on all touchscreens as well. 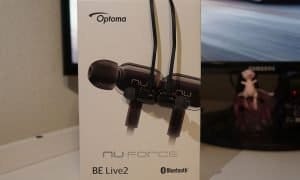 Depending on what you plan to use it for, the build quality and performance is definitely there for Android smartphones although I’d probably only want to spend around $20 for a stylus. That being said, a good quality pen can run you much more than that and Adonit does have a gamut of styluses for various devices at varying prices. If you find yourself wishing that you could doodle or write quick notes on your Android smartphone, the Adonit Droid will definitely do the trick! 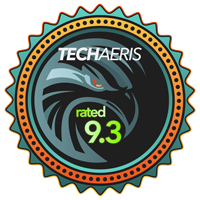 It has a solid build quality, sleek design, and performed well on the Android devices we tested it on. *We were sent a sample of the Adonit Droid for Android for the purposes of this review.